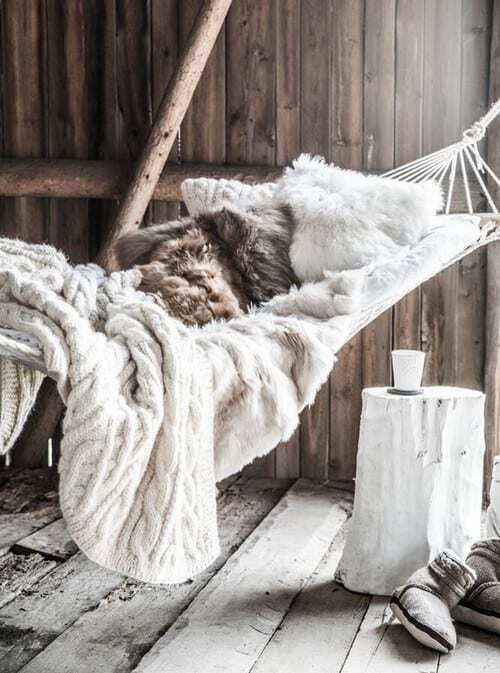 If your idea of relaxation is lying in a hammock on a sandy beach why not recreate that calming feeling in your home instead so you can experience it all year around. 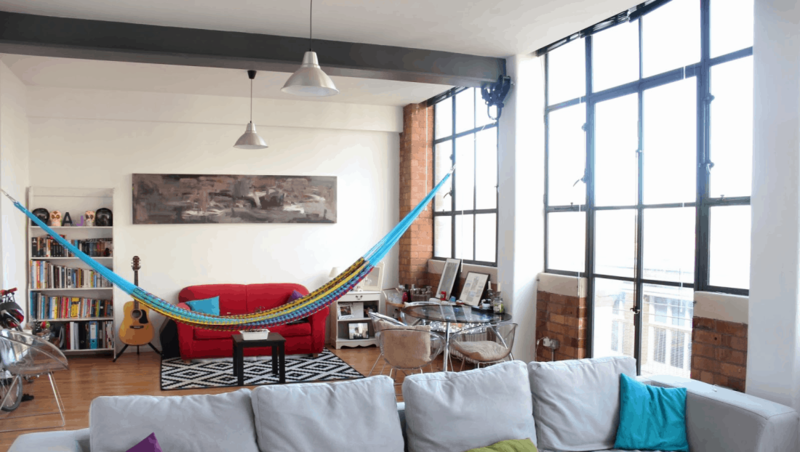 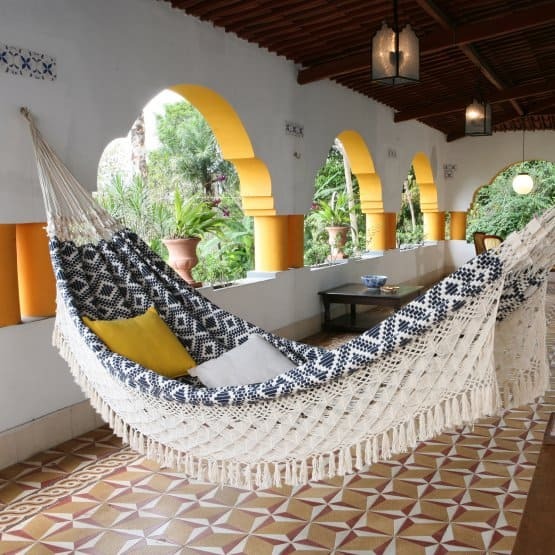 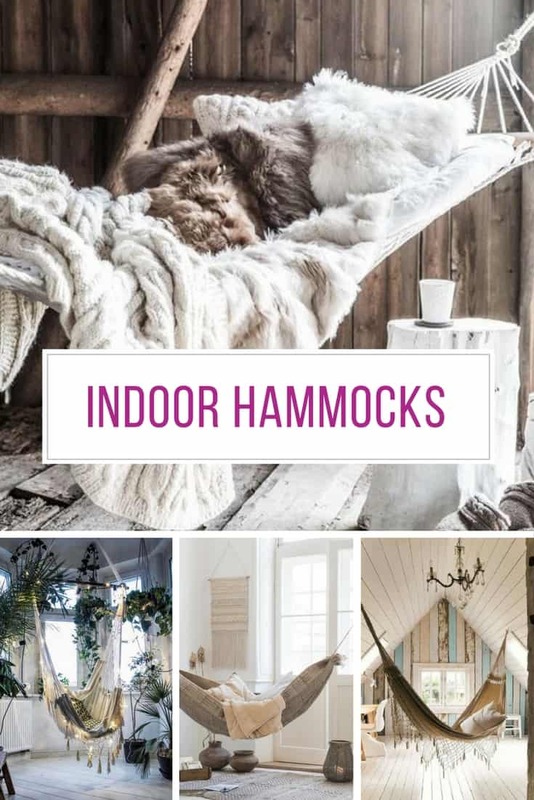 Whether you hang your hammock in the family room, the rec room or even your bedroom your friends will be suitably impressed and wonder why they didn’t think of it first! 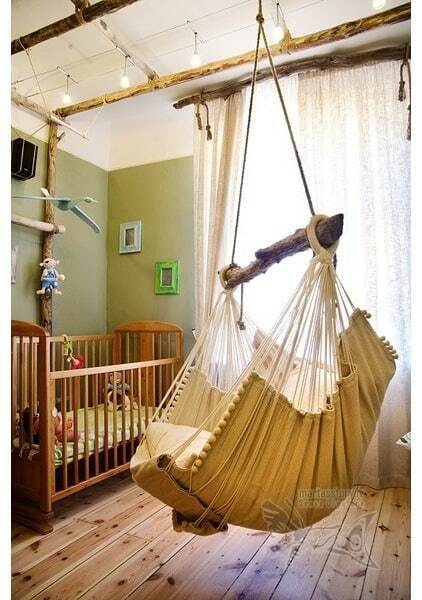 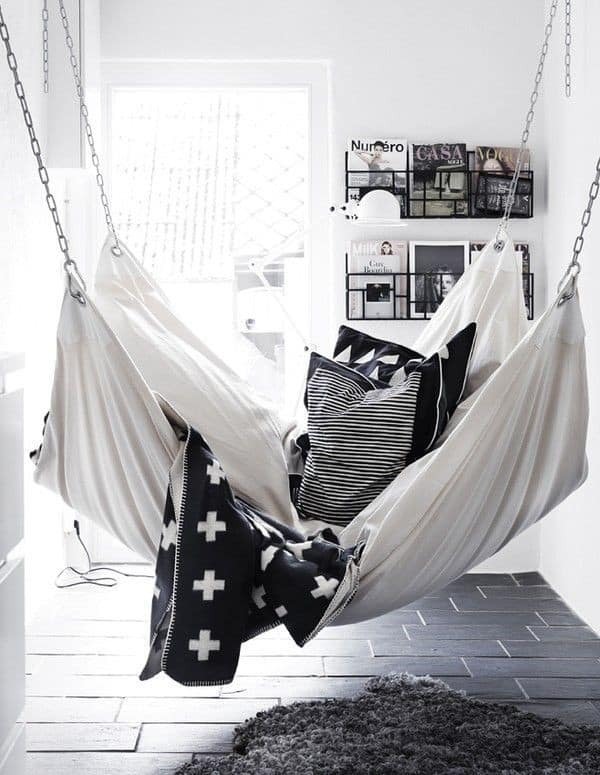 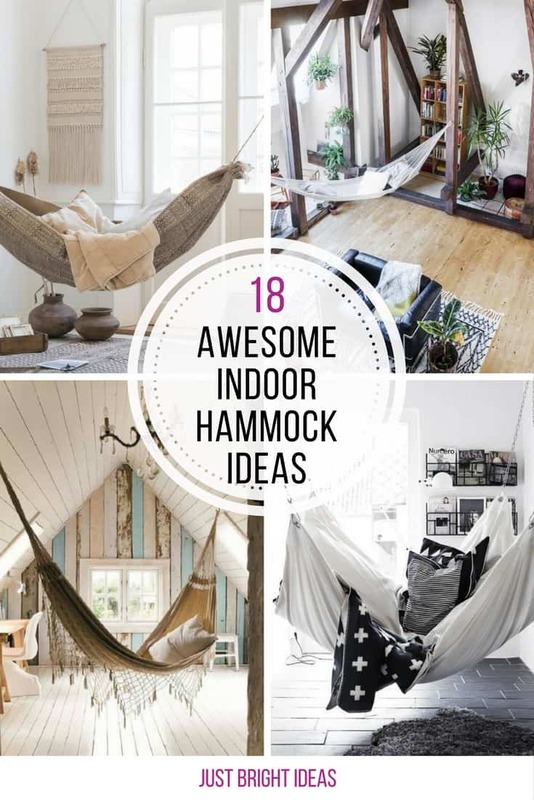 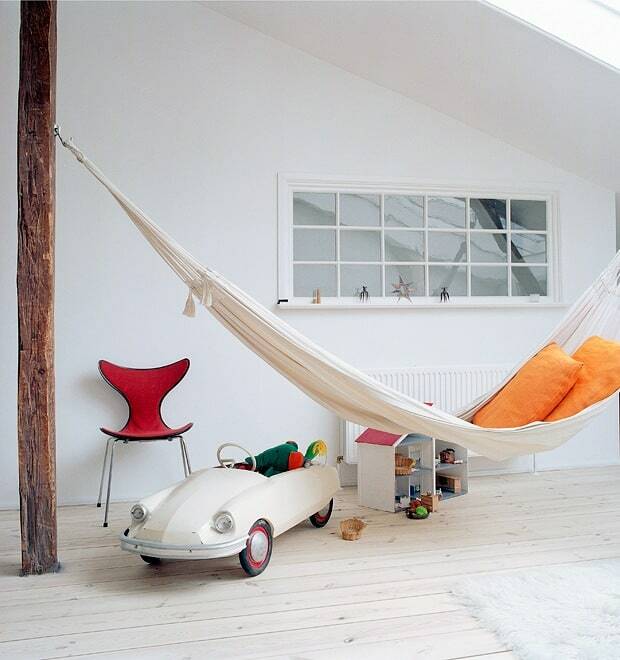 Here’s 18 awesome indoor hammock ideas to inspire you to be different!